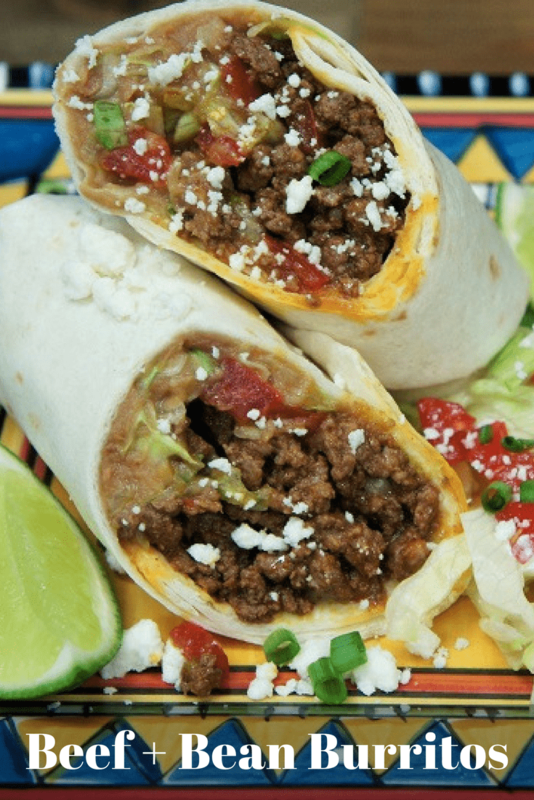 These Beef & Bean Burritos are stuffed with refried beans, flavorful ground beef, shredded lettuce and tomatoes. Then they’re topped with crumbled queso fresco and served with sour cream and green onions on the side. They’re super easy-to-make and delicious. 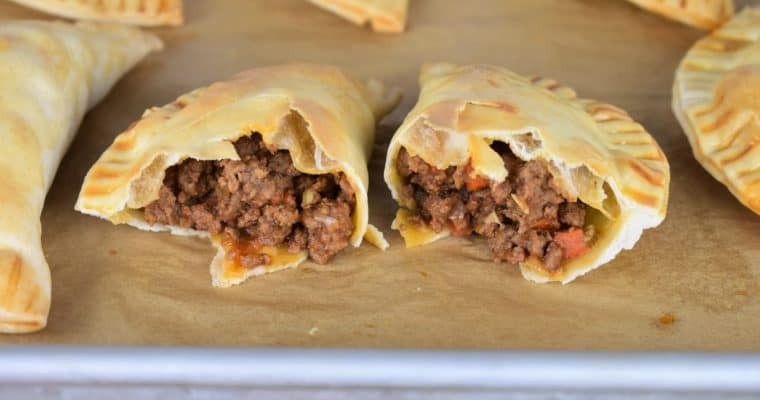 Plus, the ground beef cooks up quick, making them perfect for busy weeknights. Enjoy! Add the chili powder, salt, garlic powder, onion powder, cumin and black pepper to a small bowl. Stir well to combine and set aside. Heat the canola oil in a large skillet over medium-high heat. Add the ground beef, sprinkle with the prepared seasoning mix, stir to combine. Cook the ground beef for approximately 5 minutes, until browned. 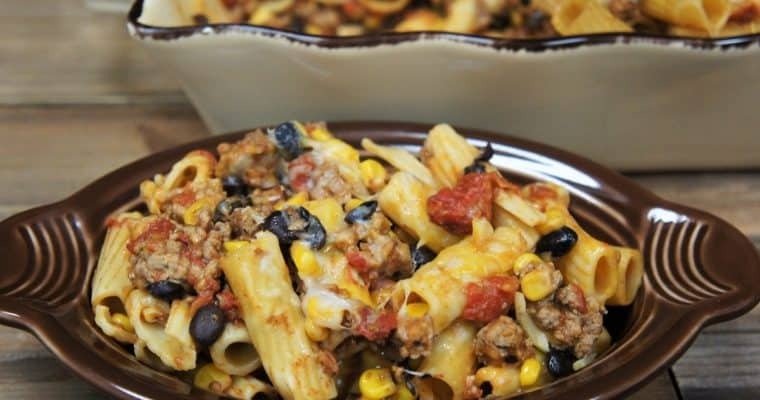 Stir the ground beef frequently while breaking up any large pieces with a wooden spoon or spatula. Add the tomato sauce and water, stir well to combine. Lower the heat to medium, cover and cook about 15 minutes, or so, stirring occasionally. Add the refried beans to a small saucepan and warm over low heat until warmed through. Stir the beans occasionally so they don’t stick to the bottom of the pan. Prep the rest of the ingredients: shred the lettuce, dice the tomatoes, slice the green onions, crumble the queso fresco, etc. Add 2-3 heaping tablespoons of the refried beans to the center of the tortilla and spread it so it’s not mounded in the middle. Don’t go all the way to the edges. Add a handful of shredded lettuce, about a tablespoon of the diced tomatoes and top with 2-3 heaping tablespoons of the ground beef. Fold in the sides of the burrito, then fold over the side closest to you, tuck in the ingredients using your fingers and roll the burrito (away from you). Place seam side down. Repeat with the remaining ingredients. 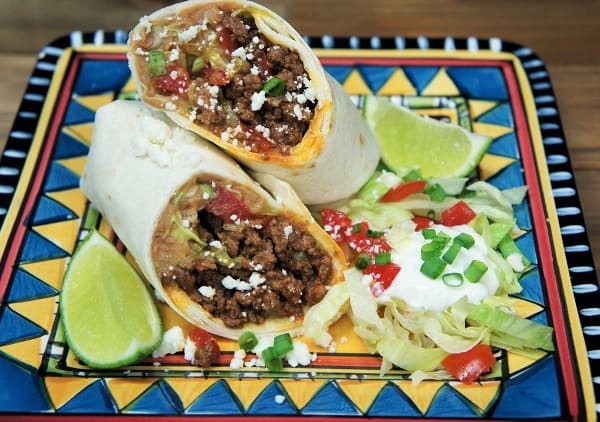 Top the burritos with the crumbled queso fresco and serve with a side of sour cream, green onions and extra lettuce and tomatoes, if desired.